A masterpiece of design, the Prague II Queen Sleeper Sofa by Lazar has become a signature piece. A sight for all eyes, the Prague will steal the show in any room. Customizable bolster pillows and wooden feet, along with hundreds of available upholsteries for the body ensure the Prague can be a match for your home. They have a great selection but the Prague really caught my eye. I wish it would have come a bit quicker, but I honestly couldn't be happier. It's incredibly stylish and I get compliments all the time! Do the feet come off if needed to get into a house. Absolutely! The feet of the Prague are very easily removed, and will save about 4" when navigating through a tight doorway. 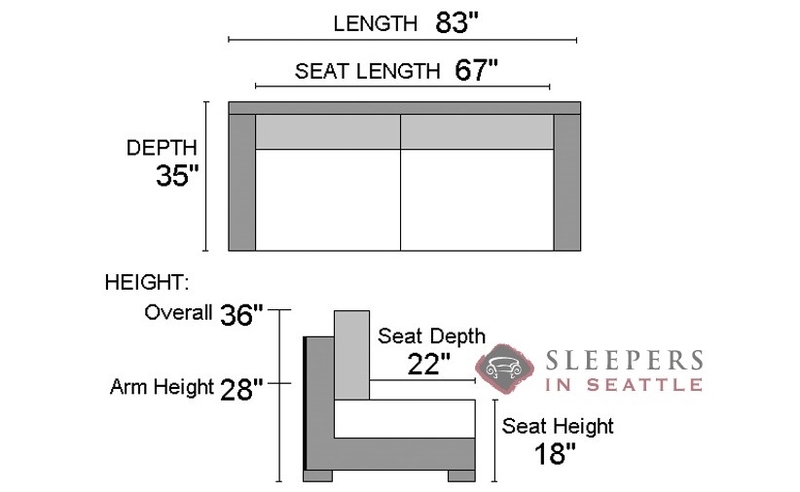 When opened to a bed, are there bar/s and/or springs under the mattess? There is a support bar beneath the mattress--however, unlike competing mechanisms, the bar in the Prague sleeper has been moved down about 2 feet, and is quite simply not beneath the small of your back, so it does not impede comfort. The Prague II Queen Sleeper is available exclusively with the included 6" mattress, and for this model, there are no other standard options. That said, you can order a mattress upgrade separately, and if ordered together, we would waive the $100 shipping charge generally added to a stand-alone mattress order. What are the dementions of the seat when folded up? 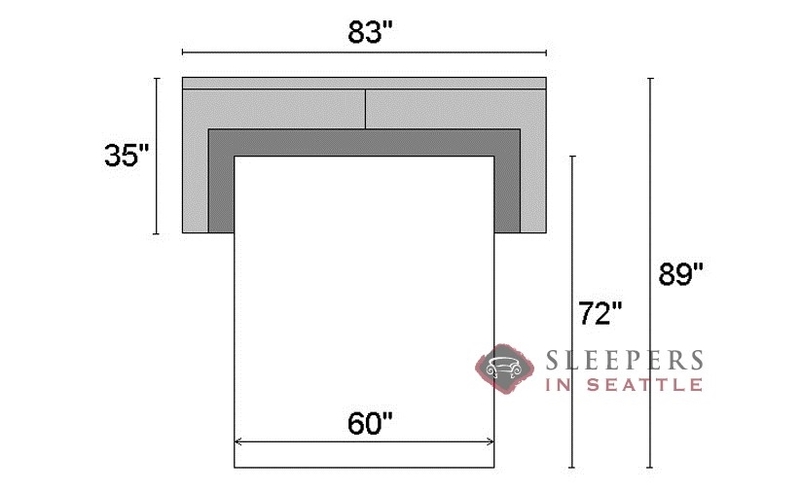 The Prague sleeper by Lazar has an 18" seat height, and 22" seat depth. Is there a way to do a full customization of this, like possibly make it longer and deeper? 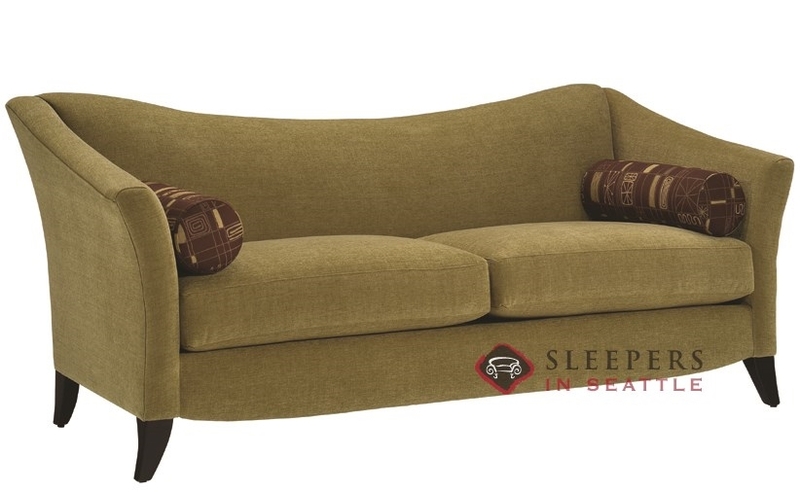 I love the look, but sometimes need to sleep on it in sofa form, and would need something longer.